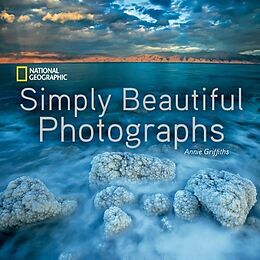 Takes the readers on a visual journey through the photographs to be found in National Geographic's Image Collection. This title features chapters which are organised around the aesthetic concepts that create beauty in a photograph such as: Light, Composition, Moment (Gesture and Emotion), Motion, Palette, and Wonder. National Geographic photographer Annie Griffiths Belt earned a degree in Photojournalism from the University of Minnesota.  Since then, she has photographed dozens of magazine and book projects for the Society. Annie's work has also appeared in LIFE, Geo, Smithsonian, Merian, Paris Match, Stern, and many other publications. She devotes a portion of each year to producing fundraising images for aid organizations. Beyond the introduction and brief essays about each featured concept, the text is light. The photographs speak for themselves, enhanced by lyrical quotes from scholars and poets. In the chapter on Light, for example, we read these words of whimsical wisdom from songwriter Leonard Cohen: "Ring the bells that still can ring. Forget your perfect offering. There is a crack in everything. That's how the lights get in." And then the images flow, of light entering scenes through windows, clouds, and spotlights, from above, alongside, and behind, casting radiance upon young ballerinas and weathered men, into groves of autumn trees and island-dotted seas, revealing everything it touches to be beautiful beyond expectation. 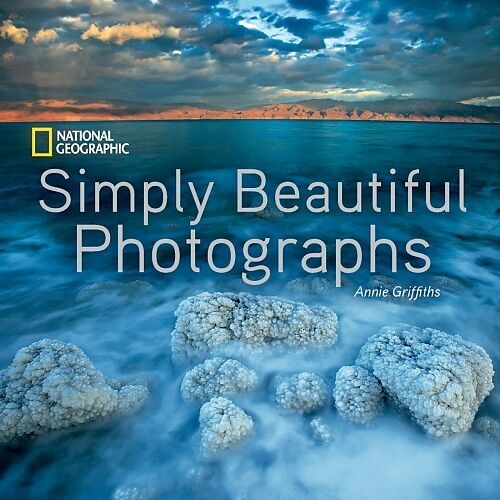 When she created National Geographic Simply Beautiful Photographs, Annie Griffiths set two goals: to maximize visual delight, and to create a book unique in the world of publishing-one in which many of the photographs could be purchased as prints. She has succeeded on both counts. Many of these stunning images are available for order, and there can be no doubt as to the visual delight. You must open this book for yourself, and take in its radiant beauty. A celebration of light and colour, movement and wonder, this volume is a treasure to give and receive.